Japan plans to use Self-Defense Force units to drive away “Chinese naval ships” from waters near the disputed Diaoyu Islands, a move that experts say will break the currently controlled status-quo and may lead to escalated tensions or even open confrontation in the East China Sea. Analysts have also said that Japan may want to play up East China Sea tensions to suppress the domestic opposition before its controversial security bill comes into effect in March. Responding to Japan’s warning, China’s foreign ministry spokesperson Hong Lei said Tuesday that China’s resolve in upholding territorial sovereignty is unswerving when it comes to the Diaoyu Islands but urged Japan to exercise restraint. “An escalation of tensions in the East China Sea is the last thing we want to see. We are willing to properly manage and settle the relevant issue through dialogue and consultations,” Hong said. The status-quo in the East China Sea has been controlled so far as both China and Japan have dispatched only coast guard vessels to patrol the area, a situation that will change once Japan dispatches military vessels, analysts said. 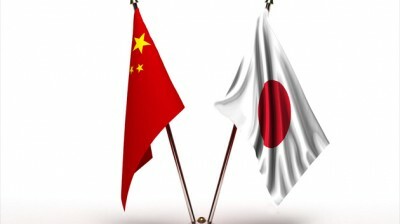 Japan had informed China of its decision in November and Japan’s government had approved the course of action last May, Suga was quoted as saying by Reuters. According to international law, a passage is innocent if it is not prejudicial to the peace, good order or security of the coastal state. “By introducing its military into the disputes over the East China Sea, Japan has unilaterally escalated tensions and it may lead to war,” Wang Pin, a researcher on Japanese studies with the Chinese Academy of Social Sciences, told the Global Times Tuesday. According to Japan’s Defense Ministry, the Self-Defense units will first send warnings to “Chinese naval vessels” and ask them to leave. If the Chinese vessels refuse to comply, the Self-Defense units will take certain measures to drive them off. A representative from Japan’s Defense Ministry told the Global Times on Tuesday that China’s vessels can be “allowed” to pass as long as they don’t violate the United Nations Convention on the Law of the Sea and pose no threats to the coastal countries’ peace and order. “Japan’s claim has no legal basis. The Diaoyu Islands belong to China, thus our vessels do not need Japan’s approval to pass the nearby waters of the islands. Japan is using the so-called international law to cover up its own misdeeds and is trying to shift the blame to China,” Wang said. The Diaoyu Islands are a sticking point between the two countries. In 2014, China and Japan agreed to gradually resume political, diplomatic and security dialogues while acknowledging different positions on the Diaoyu Islands. The status-quo in the East China Sea has been controlled so far as both China and Japan have only dispatched coast guard vessels to patrol the area. If Japan unilaterally uses its Self-Defense units, China will deploy its naval force in return, which will greatly increase the chance of open confrontation, Wang said. “In that sense, Japan’s move to deploy Self-Defense units is an aggressive military provocation. The escalated tensions will pose a great threat to regional stability,” Wang further noted. “Japan’s claim signals a potential threat to the stability of East China Sea, which should raise China’s concerns,” said Hu Lingyuan, a professor from the Japanese Research Center at Shanghai-based Fudan University. Japan’s controversial security bill that allows its military to operate overseas for the first time since the end of World War II will take effect in March despite widespread public opposition. The country is trying to play up the East China Sea tension to suppress domestic opposition as well as mislead the public into supporting the Japanese military’s overseas operations in the future, Hu said. “Japan’s wild ambition has been thoroughly exposed as it calls for mutual cooperation on one hand but deteriorates regional stability on the other,” Hu said. “Japan should think twice before taking any action. In the face of military provocation, China will definitely respond with its naval power, as Japan’s claim will pose great threats to China’s national interests and territorial integrity,” Wang said.